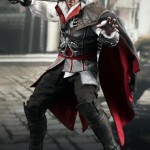 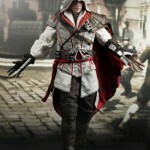 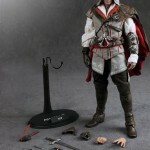 Hot Toys has unveiled the first figure from their recently announced Assassin’s Creed II license. 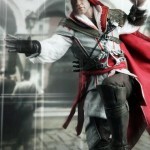 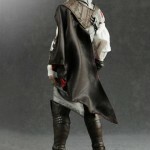 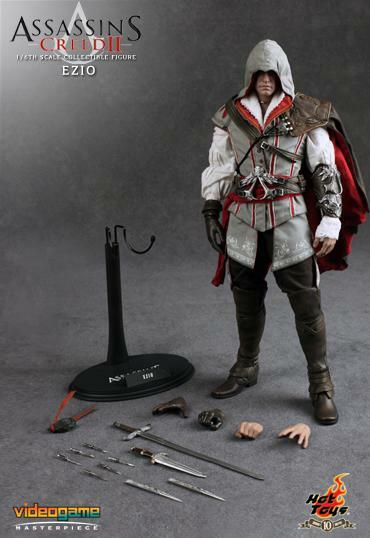 The first figure is Ezio as part of their Video Game Masterpiece series. 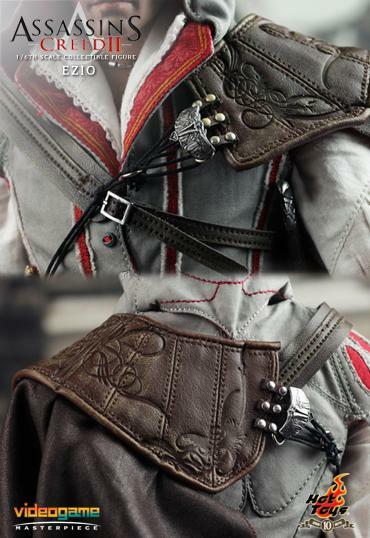 The 1/6th scale figure will come with various weapons and accessories from the game. 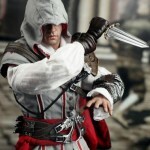 It is due quarter 3 of 2010. 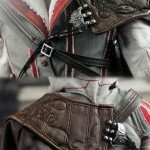 Once price and specific release date have been announced, we will update. 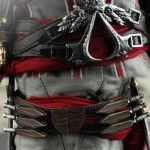 See a full gallery, and specific product info, by clicking the headline of the story. 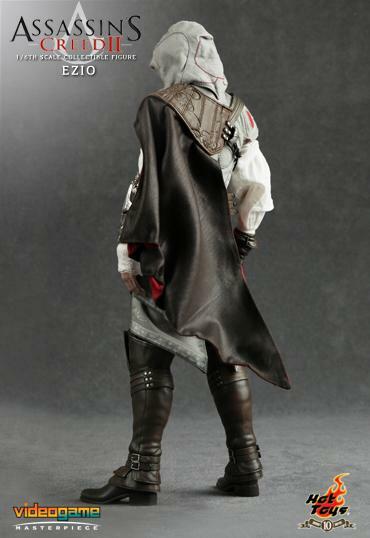 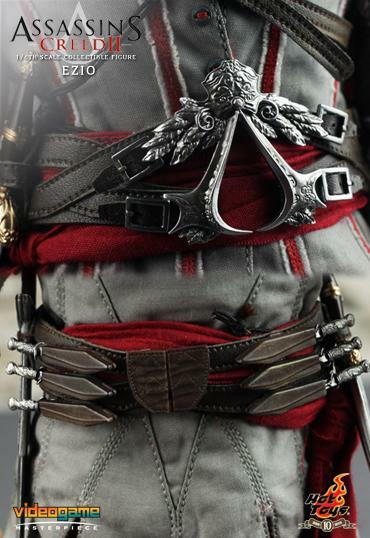 Hot Toys is proud to present the 1/6th scale Ezio Collectible Figure from the Assassin’s Creed II video game series. 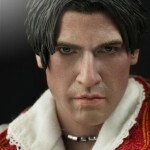 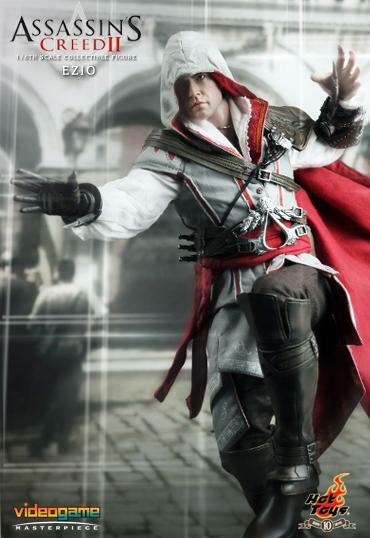 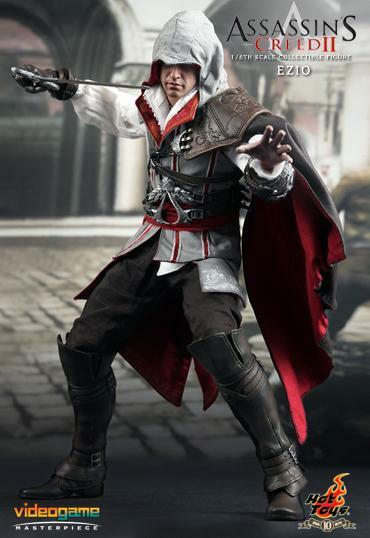 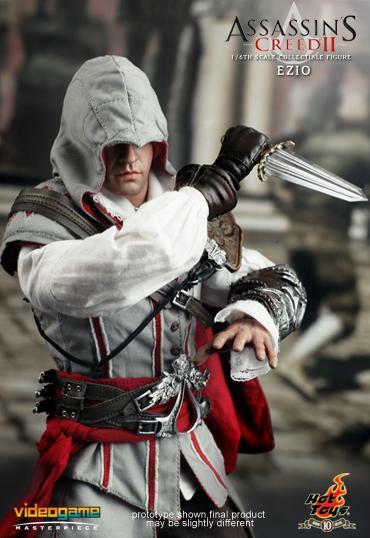 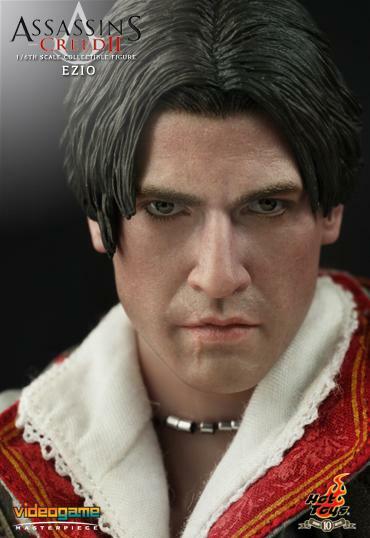 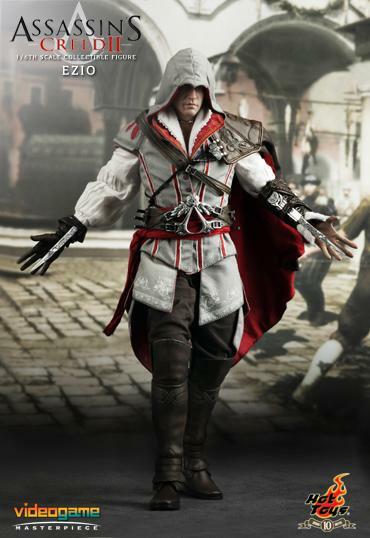 The real-like collectible is fully poseable, specially crafted based on the image of Ezio in the video game, highlighting the newly developed head sculpt, highly detailed costume and weapons.